In celebration of its 100th year, the Benjamin Franklin Parkway will be decorated with a dazzling light and video show by artist Jennifer Steinkamp. 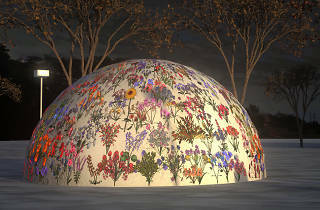 Starting in early December and lasting through March, the installation comprises five 13-foot high domes lined up along the parkway. 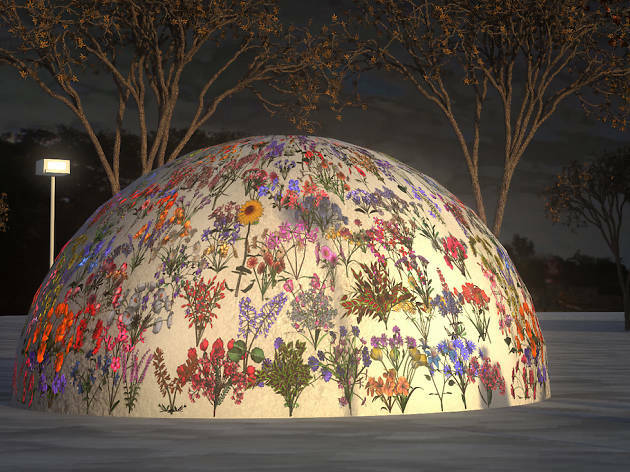 After dark, the domes will become glowing projection screens featuring animated videos inspired by the cultural institutions that line the boulevard—places like the Franklin Institute and the Philadelphia Museum of Art. Steinkamp’s work is known for its sensuous beauty and transformative power. Prepare to be mesmerized.